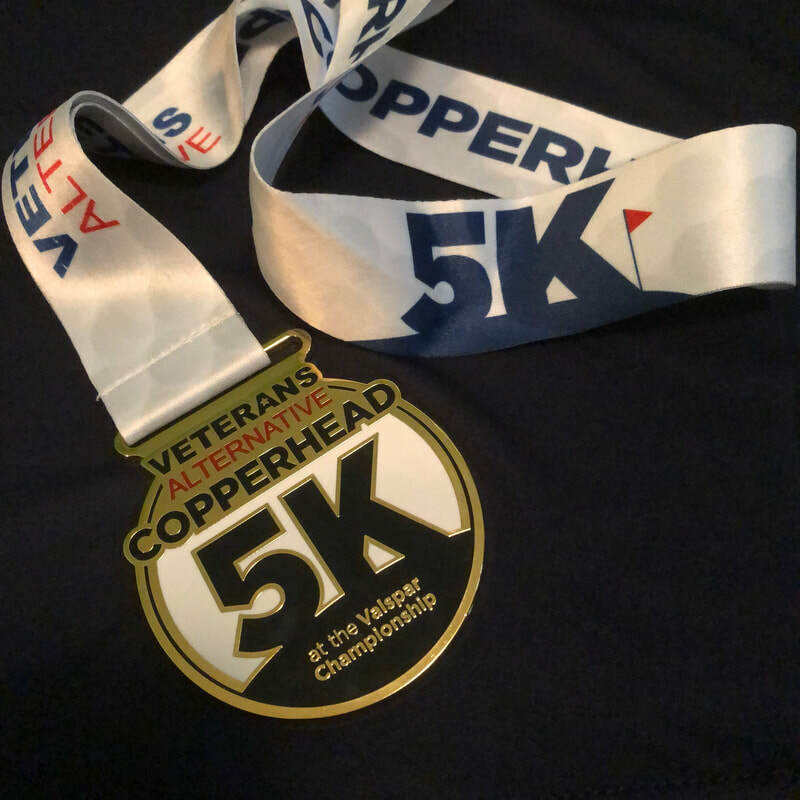 The Veterans Alternative Copperhead 5K at the Valspar Championship kicks off the 2019 tournament festivities with a race around the famed Copperhead Course. This year the race landed on St. Patrick's Day. That meant plenty of runners and walkers dressed in green to match the course. 2019 was the 4th year for the race. It's a family-friendly event. I always see small kids, strollers, and lots of walkers. But, there are competitive racers, too. 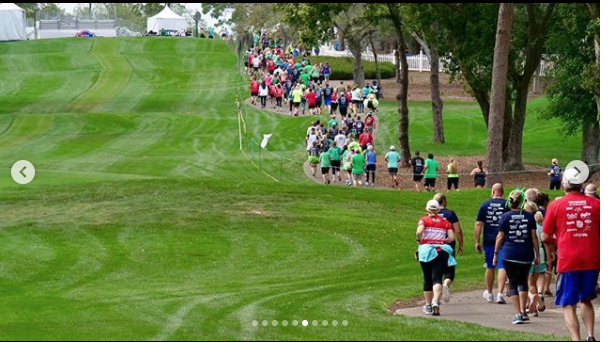 Since it's not the usual race crowd, expect to navigate the walkers who don't know they should line up behind runners. Once you clear the initial bottleneck, the course is fun and fast. It's a blast to run down the hills, but of course you have to run up them first. It's a challenging 5K for those of us who don't run on hills much. We picked up around 3:00 pm on race day. It was easy and quick. Pickup was in the volunteer tent across from the parking lot. We received a shirt, bag, and bib. Participants could choose a red or navy shirt. The shirts were available in patriotic red and blue. 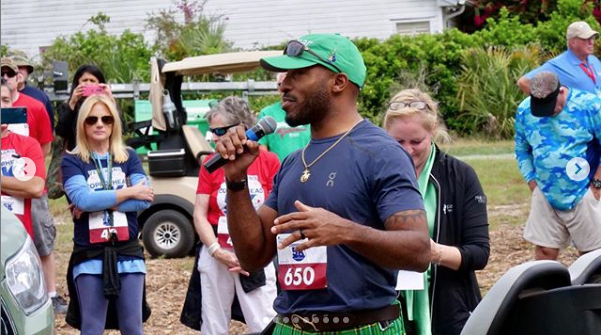 The named sponsor for the race was Veterans Alternative, a non-profit that serves veterans. The shirt is 100% polyester performance material. It's lightweight and wicks away sweat. Ladies and mens cuts. Children's sizes. ​Participants could choose a red or navy shirt. 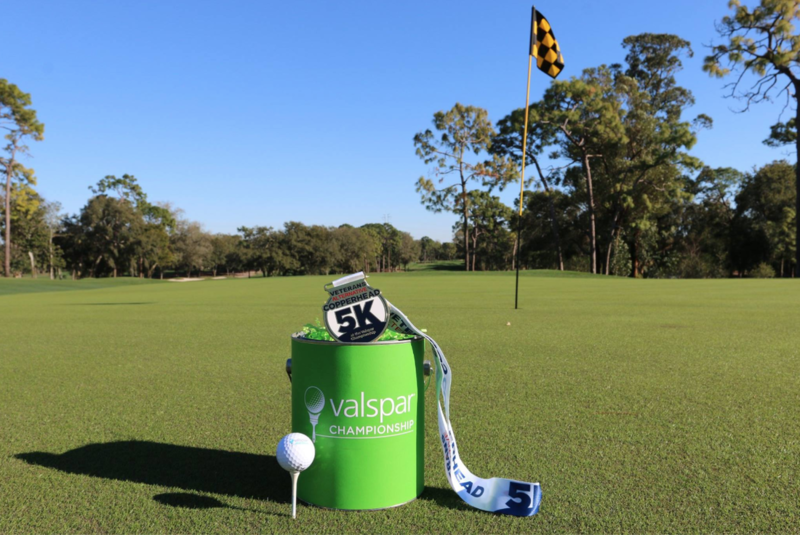 The race bag was a clear plastic Valspar Tournament merchandise bag. Which reminds me, the tournament gift shop was open during the race. Inside the bag was a voucher for a free can of Valspar Signature Interior paint + primer. I don't know about you, but around here we can always use another can of paint. ​Additional swag was a $5 off coupon for any Glory Days Grill location. There was a nice letter and a promo piece for the Tampa Bay Kids Triathlon at Adventure Island next month. Parking was free on site in the Green Lot. It's a grass lot next to the course at the southwest corner of Belcher Road and Klosterman Road. ​FYI: the Green and Yellow parking lots for the tournament are here. There was plenty of room for all the cars. It was a short walk up the service road to packet pickup and the starting line. Post-race Party including free food courtesy of Glory Days Grill and Publix. Soda, water, beer, wine. All bibs had a timing chip. There were two timing mats out on the course, but I couldn't tell you where. 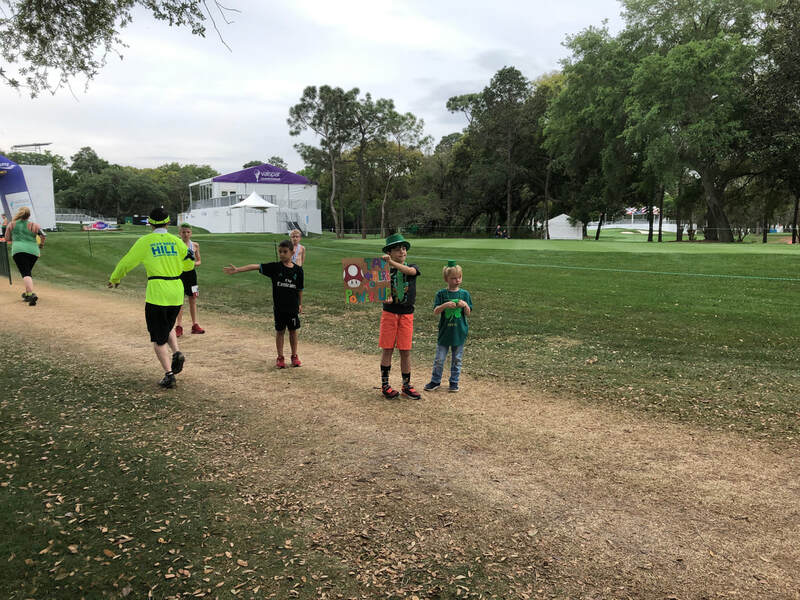 It was important to watch your step throughout the course since there were covered wires on all the cart paths for the upcoming golf tournament. No pacers for a 5K, which is normal. 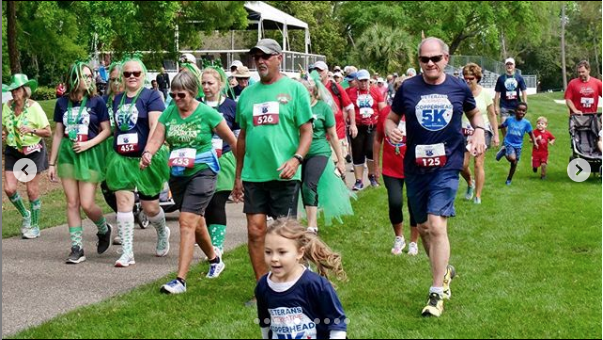 This race is family-friendly and encourages walkers. Since the course is all inside the golf course there aren't any timing issues with road closures. 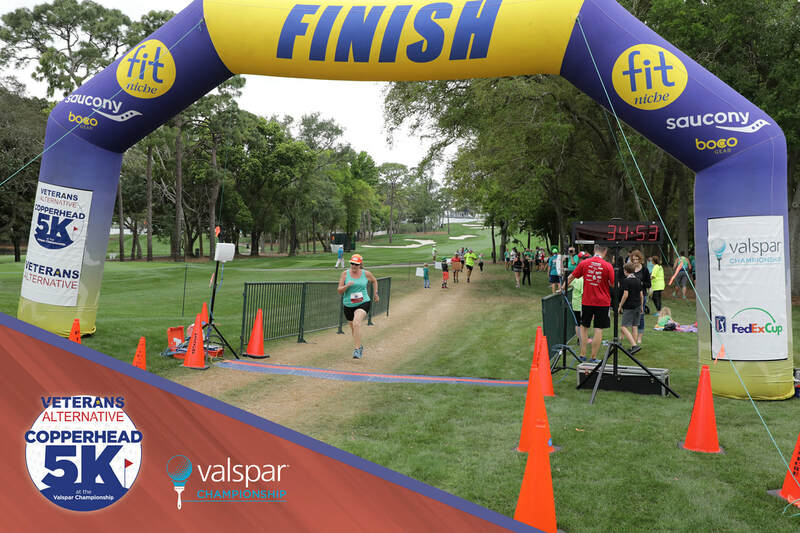 Walkers could move at a casual pace since the course didn't shut down until the last participant crossed the finish line. Free finish line photo. Check out the golf course views behind me. Free finish line photos were available two days after the race. 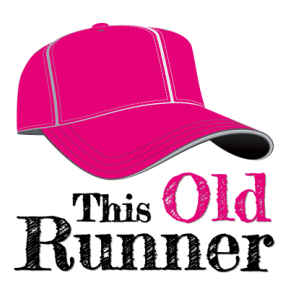 Runners receive a link to the photo site where you can download low res photos immediately. ​You can have high resolution photos emailed to you. There was a roving photographer at the race and after party. You should find more photos posted on social media and the race site a few days after the race. 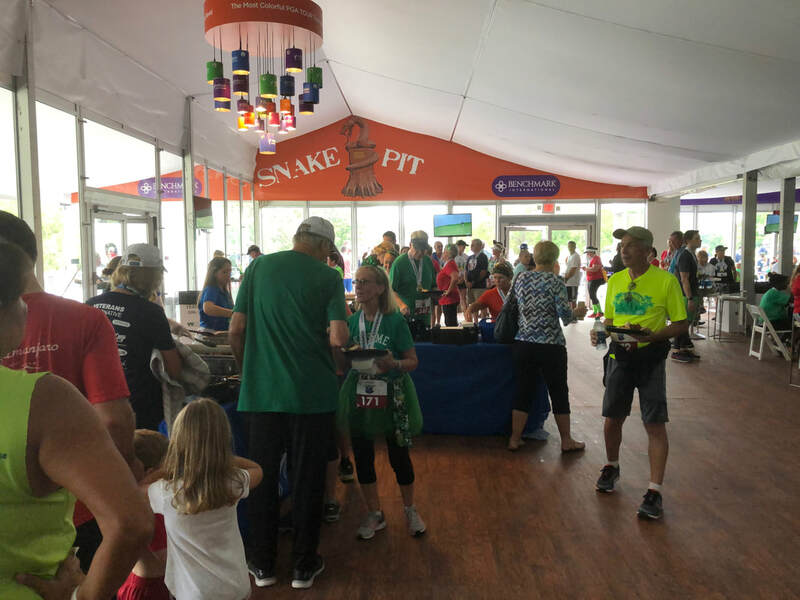 Every finisher received the custom Copperhead 5K medal as they crossed the finish line. Kudos to the finish line volunteers, they were enthusiastic cheerleaders! There was water in cups and water bottles at the finish line. From there it was just a few yards and a stairway to the post-race party in the Benchmark International Hospitality tent on the 17th green. Race timing was provided by FitNiche. There was a finish line clock; plus two timing mats on the course. FitNiche set up a bunch of laptop computers at the post race party. You could enter your bib number on the computer to get your race results — all while waiting in line for food. If you didn't see the computers, a link to results was posted the next day on the Facebook event page. 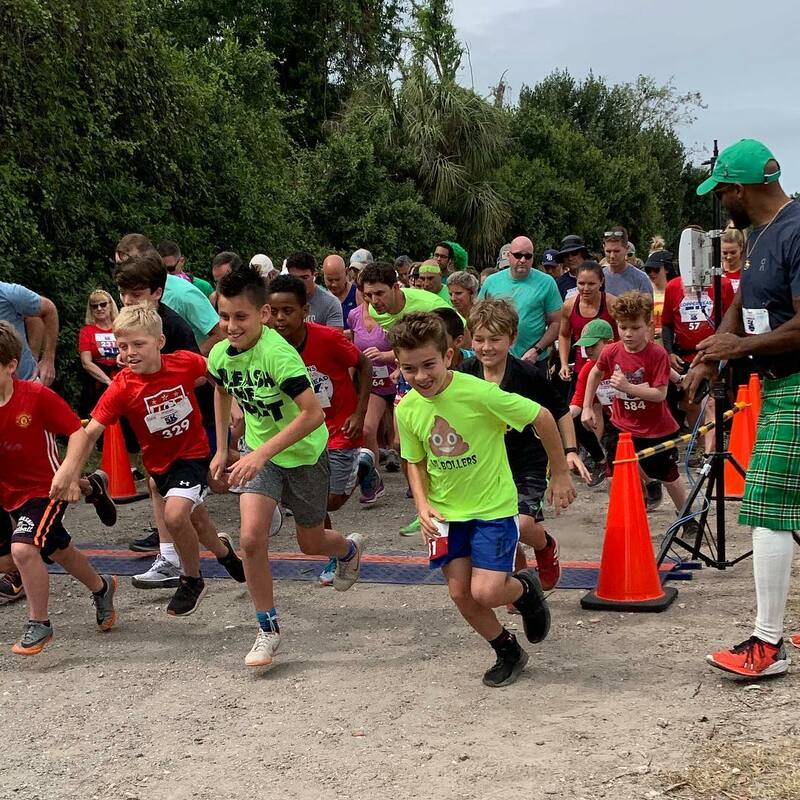 There were trophies for Overall Male finisher, Overall Female finisher, and the top male and female finishers in seven age categories. (14 and under through 65+). The awards were presented at the post-race party. 72 degrees at the 4 pm start. 67% humidity. Overcast skies. The weather was just right. The overcast skies kept the temps down. I've run this race in bright sunshine, and it's much better when it's cloudy. Before the race my husband and I decided we would each run our own race. We agreed to meet at the finish. I've been focused on hill workouts in anticipation of the Pittsburgh Half Marathon in May. The Copperhead 5K is the first race with any kind of hills I've run since February 2. I wanted to run the hills and compare my results to last year. While I still have work to do before Pittsburgh, I'm happy with my finish. I ran more than two minutes faster than last year. ​But more important than the time was how good I felt. My legs were tired going in, but I was strong and steady throughout the race. The hills were okay. I'm happy with my race. I think it was a good check-in for my training cycle. The after party for this race is one of the best around. 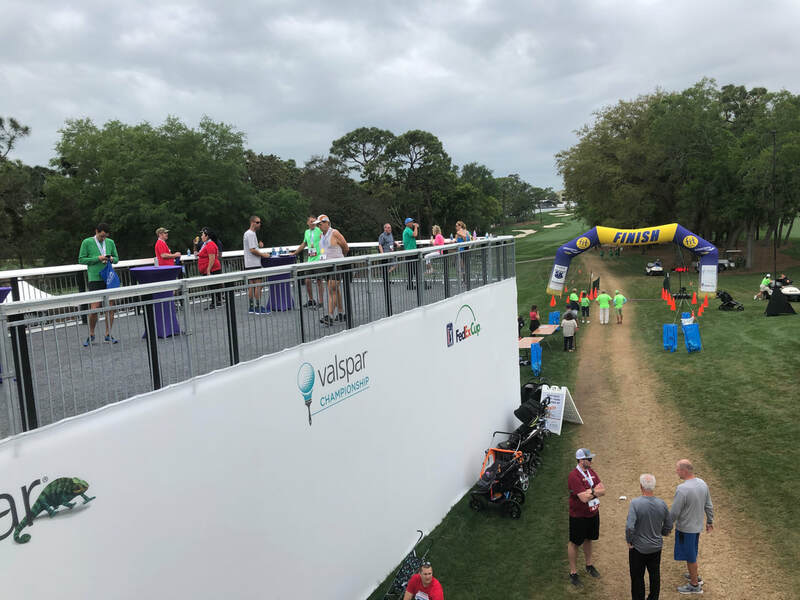 Runners and walkers gathered in the Benchmark International hospitality tent on the 17th green. The tent is larger than last year. There were plenty of tables inside, plus outdoor gallery seating. An outdoor deck had seating and overlooked the finish line. Food was provided by Publix and Glory Days Grill. Publix offered up subs and baked goods. (OMG that cranberry orange scone was delicious!) Glory Days served wings, barbecue, and yummy mac and cheese. There were wines from Josh Cellars and Michelob Ultra Gold. Plenty of water and sports drinks, and soda, too. Family and friends could purchase a wristband for $15 to join the post-race festivities. Kids under 6 who didn't register for the race were free. We grabbed a couple of cold drinks and some food, then sat outside. We were in the chairs overlooking the green. It was a beautiful evening. I love the scenic course for this race, but I also love getting a look at tournment preparations. This LED lounge is new. The plastic furniture includes swings, an LED firepit, and lots of seating. ​There's a row of food concessions on one side, and great views of holes 5 and 8. There are sun shades for daytime, and a disco ball and light up furniture for evenings. 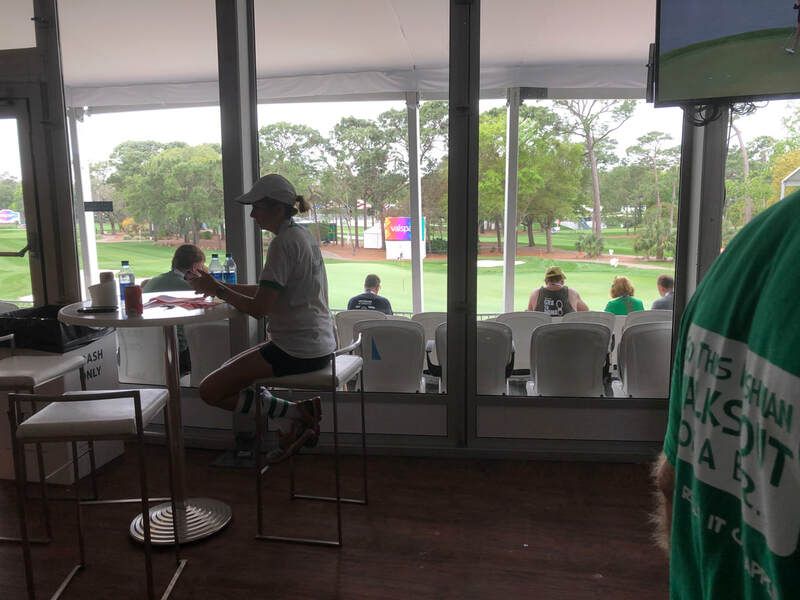 The Publix® Chillounge turns into a party zone when the Thursday and Friday rounds end. The furniture lights up and there will be a silent disco by Silent Rhino. 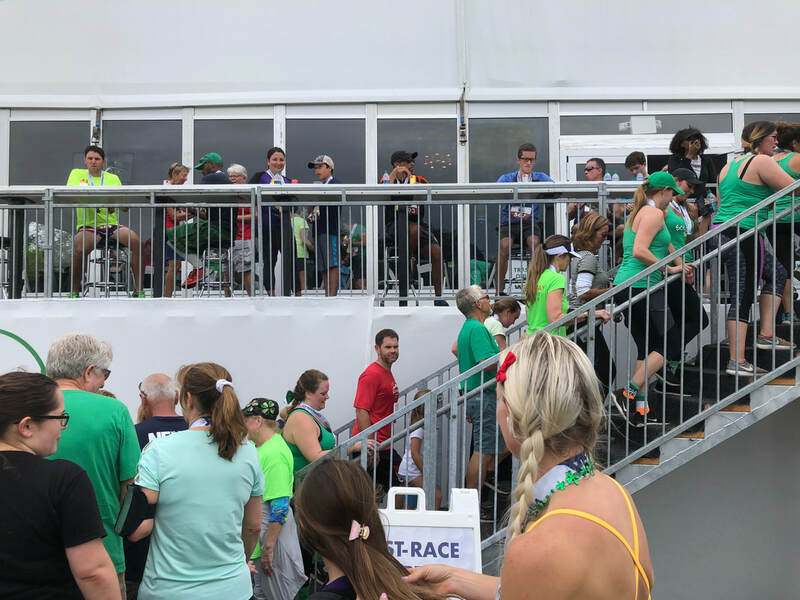 #SeenOnARun #SceneOnARun — So many people dressed in St. Paddy's Day gear. 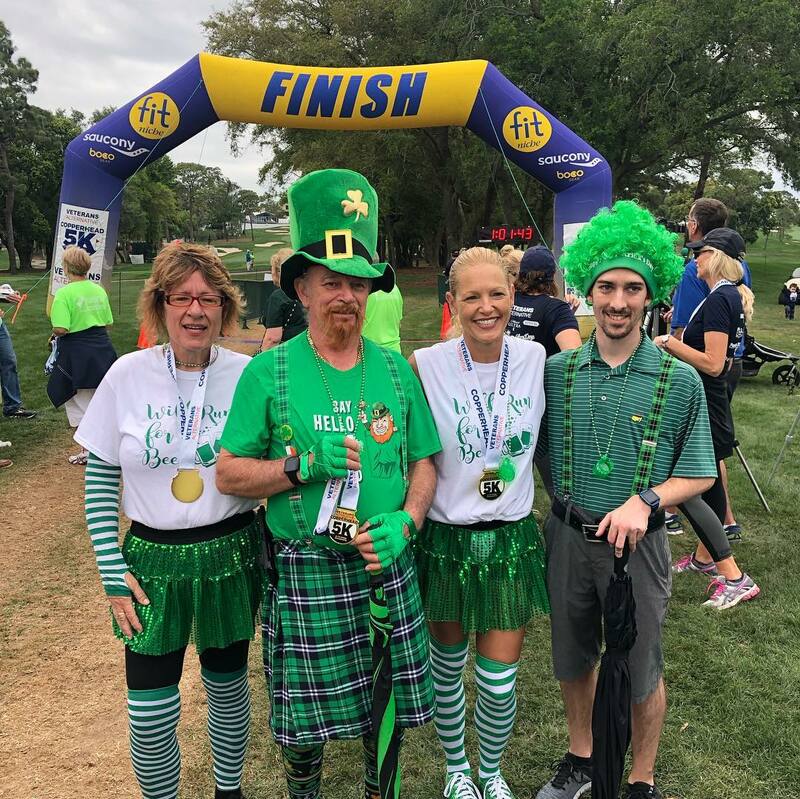 There were a few kilts, plenty of shamrocks, and a few interesting choices. The race was festive and fun. I love running on the Copperhead Course cart paths. 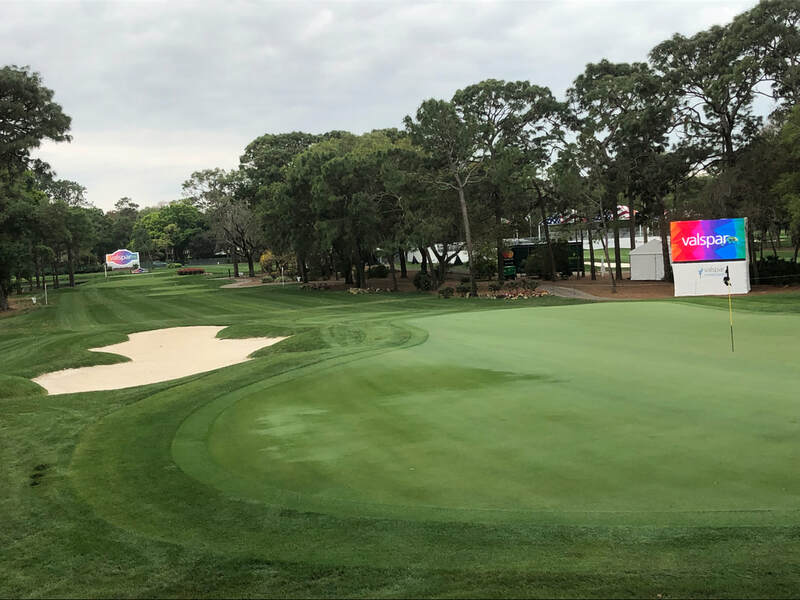 Got a sneak peek at where everything is for the Valspar Championship. It makes attending the tournament next weekend easier and more fun. 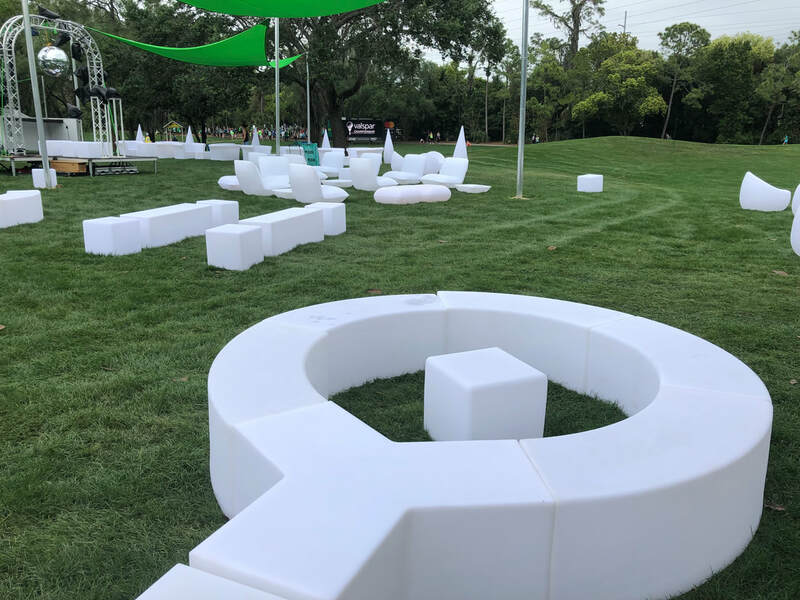 I'm ready to revisit the Publix Chillounge and the Tiny House showcase.